Below is the first page of testing and evaluation. Look closely every part of the design sheet. 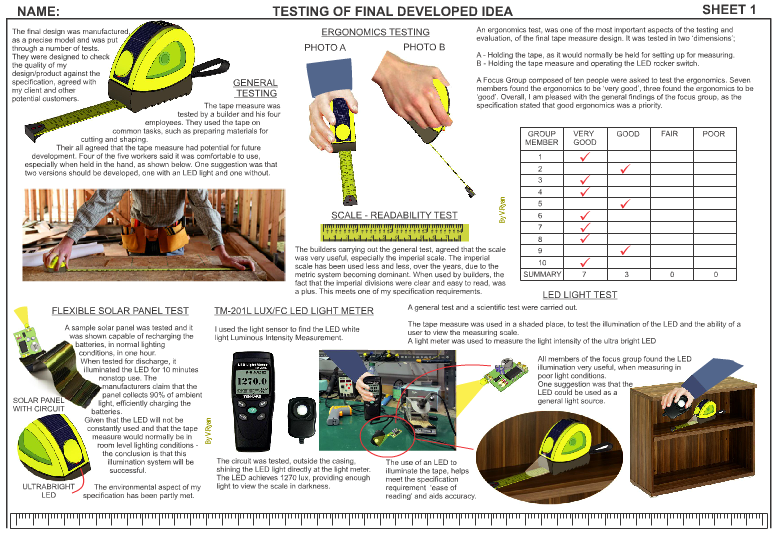 List all aspects of testing, for example ergonomics and LED light test. What testing do you expect to see on 'Testing and Evaluation' page two ? Make a list and compare it to sample page two.